Mayor Jeffrey P. Pravato and the Board of Trustees hosted the Village’s Annual Holiday Open House for several hundred children. 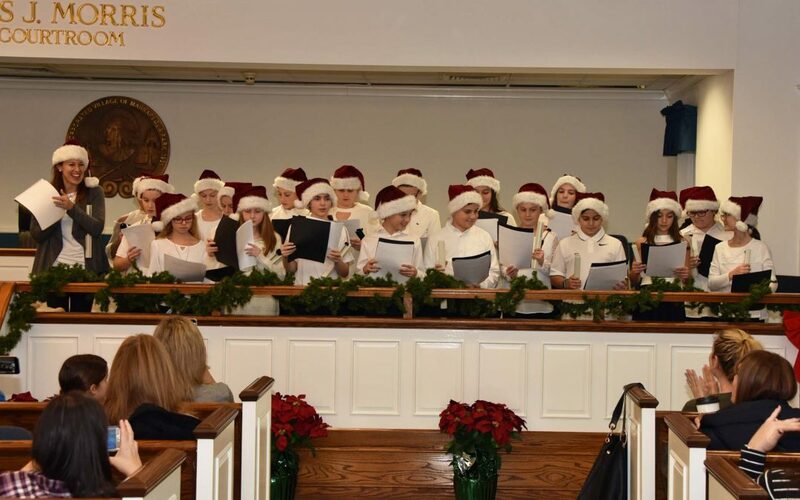 There were cartoon characters, clowns, balloons for all and musical performances by the Eastlake School Bell Choir, Massapequa High School Chamber Orchestra, McKenna Orchestra. Santa and Mrs. Claus met with the children and they all left with a goody bag. Pictured: Deputy Mayor Teresa Spinosa, Trustees Daniel Pearl, Tina Spinosa and Santa and Mrs. Claus.